Our annual review of the best English language, China dedicated business websites follows on from our previous surveys in 2015 and 2016. To qualify, websites must have been maintained with at least one article over the previous month. Rankings are independently verified by Alexa; those with insufficient data or below a ranking of one million in popularity were excluded. As there are over 1.8 billion active websites as of 2017, the websites represented here are among the very best of the very best, and rank among the top one percent of all websites viewed globally. That is an amazing achievement by all of the sites featured, many of which are privately operated, and are all very specific rather than general in their content provision. This website monitors Chinese research and online shopping – and as China’s e-commerce sales continue to explode, it’s hardly surprising it takes this year’s pole position. Click here for their most recent article, and congratulations on attaining pole position for 2017. 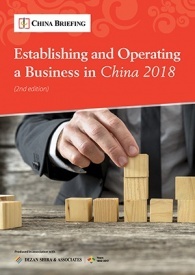 As it says on the box, and a well maintained and useful website, designed to provide fresh insights and a deeper understanding of the Chinese market. Click here for their most recent article. We take third position this year – having commenced activities way back in 1999. Many may claim to be among the first, but China Briefing really was and remains a front runner. Thank you to all our readers! 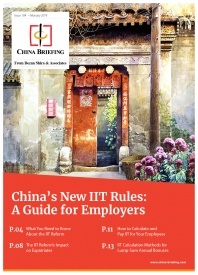 The website covers China law, tax, investment, and trade analysis and intelligence matters. Click here for our most recent article. China Briefing’s reach extended further during 2017 with the launch of Silk Road Briefing, which covers Chinese policy and outbound investment into its Belt and Road initiative. That’s one to watch for 2018. Another reliable business stalwart, concentrating on China QC issues, and of particular interest to global buyers and sourcing agents. 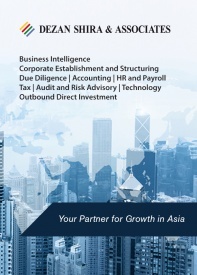 Has recently moved into covering Southeast Asia and remains a primary focus for sourcing tips and expertise. Click here for their most recent article. 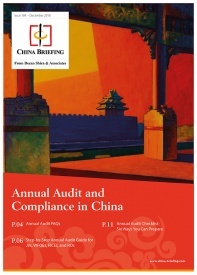 A due diligence site, providing information and knowledge about Chinese companies. A useful website for those looking for decent quality data on potential suppliers and buyers in China. Click here for their most recent article. 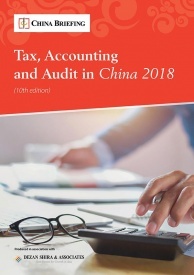 Another stalwart around now since 2006, describing itself as “assisting businesses already in China or planning to go into China, not to break new ground in legal theory or policy.” Based from the United States and mainly dealing with China issues for American companies. Click here for their most recent article. Following is a rankings list of the larger international Chamber of Commerce websites in China. They differ from the above as typically these require membership fees to access. That said, it is useful to compare their effectiveness in being measured by rankings against these, as they do provide slightly different networking capabilities not necessarily offered by those above. Websites from chambers with insufficient global rankings of one million and beyond were excluded, and included this year the Australian, British and French Chambers of Commerce. Concerning the British Chamber of Commerce, there remains a significant popularity gap of over one million places between it and the China-Britain Business Council that has appeared in the past two years, suggesting far more effort, expenditure and exposure is now directed solely towards the CBBC than to the British Chamber itself. The UK remains the only country to have competing entities in such a manner with an apparent conflict between a civil service controlled (CBBC) versus member controlled (British Chamber) bias contributing to the latter’s detriment, and this issue remains confusing and divisive. Congratulations to all those websites who featured this year, and to those that didn’t – better effort required in 2018! Please let us know if we missed out any worthy candidates in the comments box below. Comments will be moderated. @Chris Devonshire-Ellis – It’s a good point you raise about the CBBC. There’s a lot of unhappiness here, what was promised with the merger has not been delivered and a lot of grumbling is occurring as a result. The structure now politicised and unhelpful to us smaller companies as Britcham members. It cannot be helpful that the British Chamber in China website has a global ranking of 1,517,996 (like you, I used Alexa’s figures) while the CBBC is promoted way above it. 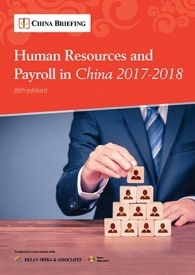 Us smaller UK businesses in China now feel marginalized and unable to contribute, which as a membership based organisation is rather poor. We keep a stiff upper lip but thanks for bringing the issue up. Are Dezan Shira & Associates members btw? 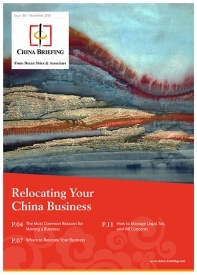 @Exasperated Brit In Beijing: Yes, Dezan Shira & Associates are members of the British Chamber of Commerce in Shanghai. We hope this political situation between the British Chamber and CBBC can be resolved. We concur that British Chamber members, and especially British SME’s should have more of a voice in how the joint structure is run. Also – if other readers have comments, and especially any about websites you recommend, we’d love to hear about them so they may appear on this thread as a matter of reference. Thanks – Ed. Great work by you guys over the years too. Much appreciated!